Have you been wondering what Five One Labs has been up to? Since last fall, we have been operating full-time in Erbil, where we organized a number of exciting innovation-related programs, including the Summer Startup Festival, our first full-time incubator and our Entrepreneurship for All program in partnership with IOM. And now we have some exciting news! Five One Labs will is expanding to Sulaimani! As part of this expansion, we will be opening a coworking space that will be the center of Five One Labs’ entrepreneurship activities in Kurdistan. 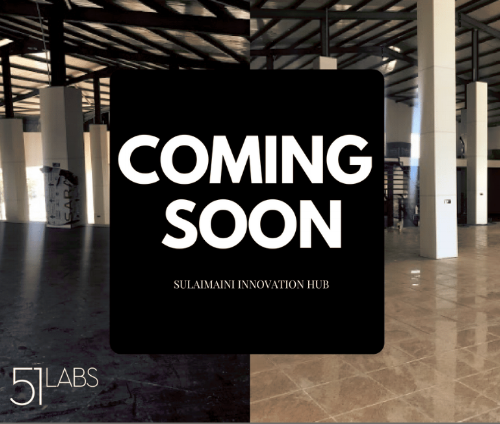 The Sulaimani Innovation Hub will be a coworking space for entrepreneurs looking for an inspiring place to work; a community space for ecosystem events; and a training space for entrepreneurship and technology programming. Over the last few months we have been looking all over Sulaimani to find a suitable place for this new coworking space. After a long search and looking at over ten different spaces, we were able to choose the most suitable place for our purpose. The new space is on Salm street, one of the busiest streets in the heard of Sulaimani. With more than 800 square meters of open space, we have the room to run large-scale events and have more people participating in our different programs and trainings. We are now in the process of finishing the construction, decoration, and furnishing in anticipation of our summer program that will begin in July. We have always wanted to expand our work across Kurdistan in order to reach as many people as possible. 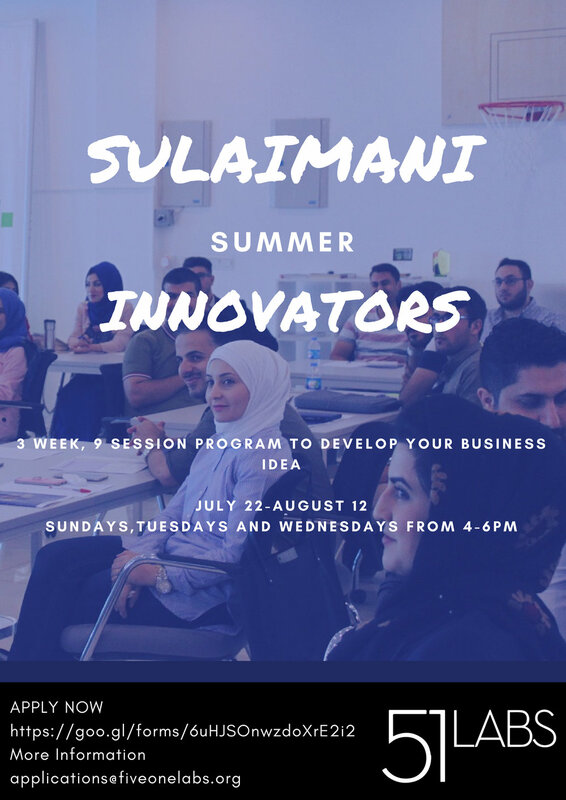 Working with entrepreneurs in Sulaimani is a great way to get many more people involved in our programs and trainings. Since we have started offering trainings in Kurdish and Arabic, we expect a greater audience and this new space is the perfect size these kinds of trainings where we will have a greater audience.